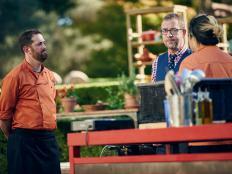 Get the exclusive interview with the winner of Round 3 of Chopped Grill Masters. 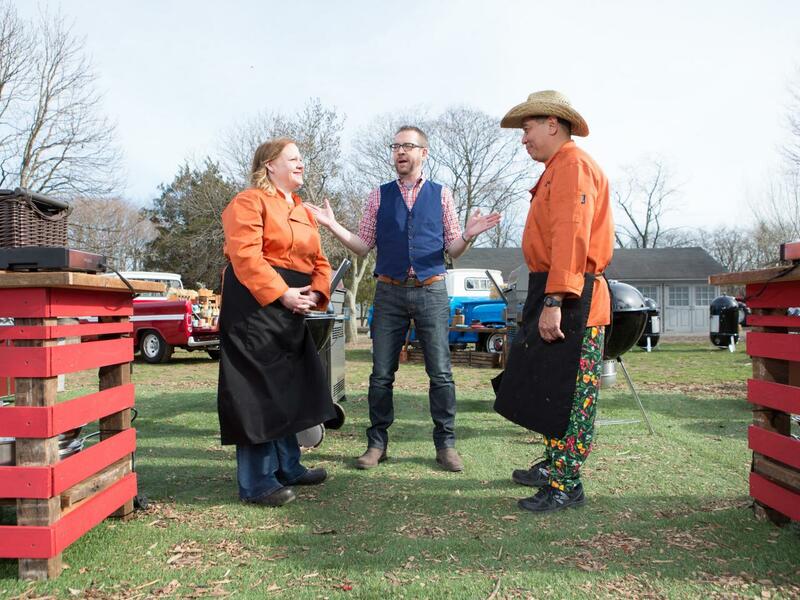 Chefs Leslie Roark Scott and Harry Soo stand before Chopped host Ted Allen moments before starting the dessert round, as seen on Food Network's Chopped, Grill Masters Special. David Lang, 2015, Television Food Network, G.P. All Rights Reserved. 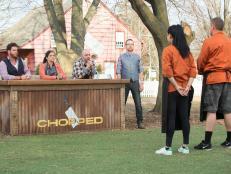 Tonight Chopped Grill Masters continued with the third episode in the five-part tournament. In each of the four preliminary rounds, four expert grillers, barbecuers and chefs from across the nation compete for a place in the finale and a chance to win the $50,000 cash prize. It was a seafood surprise on tonight's episode. Not only did the competitors have to work with shellfish in the appetizer round, but the entree round also surprised them with even bigger crustaceans. As competitive grillers used to cooking big cuts of meat, they were out of their element. And the same went for the dessert round. The person who did the best work overall earned a spot in the finale. Hear from the Chopped Champion of tonight's episode. 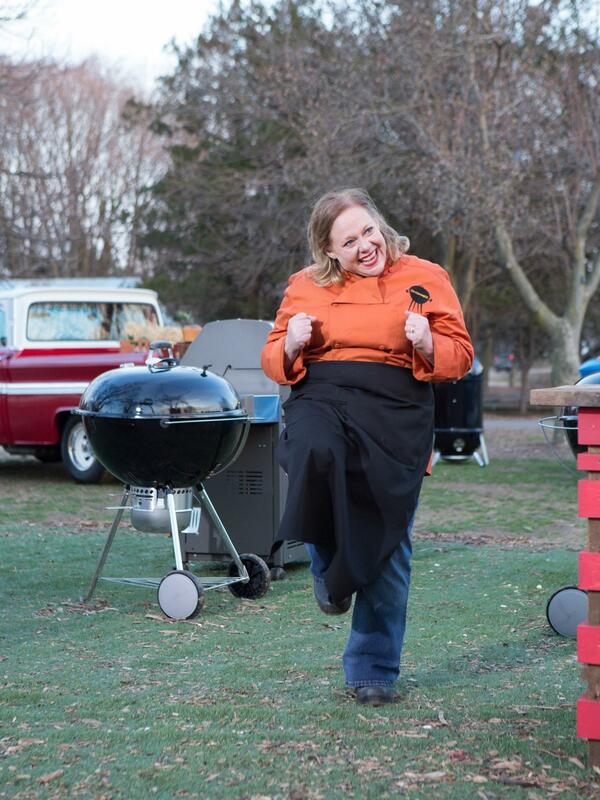 Chef Leslie Roark Scott moments after finding out she is a Chopped Champion and has secured a spot in the $50,000 Grill Masters Finale, as seen on Food Network's Chopped, Grill Masters Special. 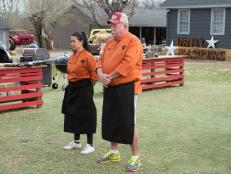 Grilling is the name of the game, and the judges are holding to it. Donna was chopped for lacking char in her appetizer. And Tom ruined his chances with undercooked lobster in his entree. The two strongest competitors remained to battle it out in desserts. Unfortunately for Harry, the judges found his complex plates overcomplicated. Leslie, although overly simple in her appetizer round, put out dishes that improved with each round. And despite not knowing how to cook lobster, she pulled off perfect entrees. With a mix of diligence and luck, she put out three courses that the judges felt made the best work of the basket ingredients. 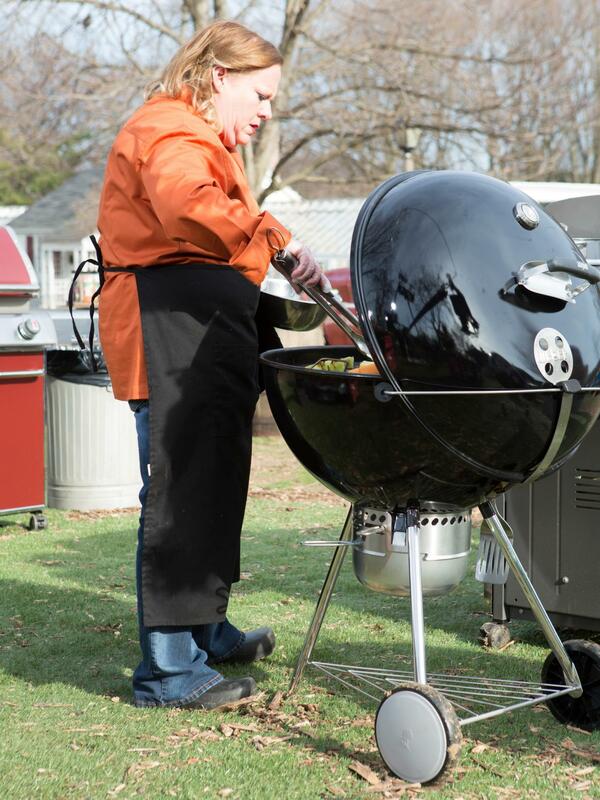 This passionate barbecuing woman proved she deserved a spot in the Grill Masters finale on Aug. 11. 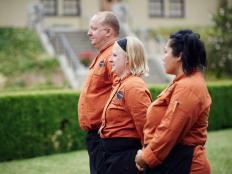 FN Dish: What did you think about the baskets today? Leslie Roark Scott: The first was full of stuff that I’ve practiced with at home. The second one, all new stuff for me, and then that last one, that was kind of the softball that I was hoping for — the bread. I knew if there was something breadlike I could make bread pudding, so I kind of came in with that in my mind. What did you think was your strongest round? LRS: I’d probably say my very first round with the shrimp and the asparagus, just because that’s something that I might cook once or twice a week. 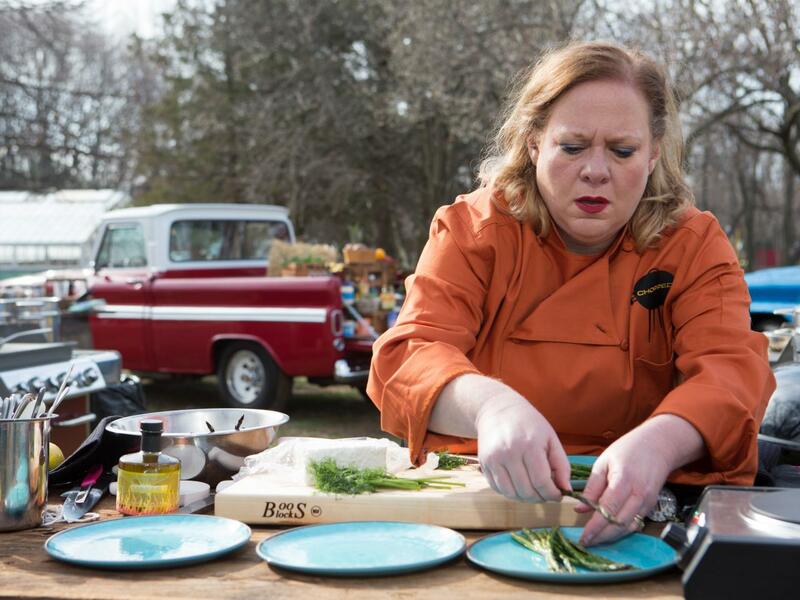 Chef Leslie Roark Scott working on her appetizer that must include: Spanish red shrimp, feta cheese, asparagus and brisket ice cream, as seen on Food Network's Chopped, Grill Masters Special. Alex mentioned that you could have done more with that dish. Did you agree with her? LRS: Oh, absolutely. I could have done a lot more with that. Instead I stuck with lemon, dill, garlic, black pepper and salt, and that was it. But a good friend of mine told me before I came: Keep it simple and, you know, that’s what I did. You said you had never worked with lobster before. There was a moment where you kind of paused and you just looked over everything. What was going through your mind? LRS: I just kept thinking, "Oh, my gosh, oh, my gosh, oh, my gosh." It reminded me of my little boy. [When] he gets freaked out ... he just says, "Oh, my gosh, oh, my gosh, oh, my gosh." That’s what it was — there was no problem-solving happening. There was just static. And I just felt myself freeze and all I could think was, "Oh, I've got to figure out something." And I even asked Tom if I could cheat off of his paper because I didn’t know what to do, but I guess I figured it out — got lucky. Were you surprised by the judges' comments? Because — except for Tim — they were pretty positive. LRS: Absolutely, yeah. Especially on that round. ... I consigned myself to going home at that point. You know? I thought, "OK, well, this is where I leave." And for them to say that it turned out perfectly done was more of a surprise to me than anybody. Do you think you’ll cook lobster now on the grill? LRS: You know I will! I know I have to. Chef Leslie Roark Scott works on her entree that must include: spiny lobsters, carrot ketchup, dandelion greens and cheese and jalapeÃ±o sausage, as seen on Food Network's Chopped, Grill Masters Special. It was an interesting thing that Tim said about that dish — that you could have cut the lobster up into pieces and mixed it into the comeback sauce. Is that something you thought would have improved it, or were you happy with the way it came out? LRS: Well, I briefly considered it. But my experience is so very limited with that particular protein that I thought: "OK, the meat looks the right color and it feels the right consistency. I’m not going to mess with it, because anything else that I do is probably going to be too much." So I just stopped where I got as comfortable as I could get. There was one point where you said to the judges, “better lucky than good.” What did you mean by that? LRS: Well, there are times in the competition setting where you win with your worst and you lose with your best, and that’s been true for all of my competitions always. And so, sometimes it’s just better to be lucky than good. Lucky sneaks up when you really need it, and today when I was clueless, lucky was on my side. How much of this do you think was competition experience versus sheer luck? LRS: I think as far as the lobster goes, that was a lot of luck. That was pretty much straight-up luck. But for everything else, I’ve been training for this competition for my whole entire adult life, and so I lean more toward the fact that under pressure, I just kind of settle in because that’s where I’m most comfortable on the competition circuit. When it’s time to put the head down and get the work done, I’m comfortable doing that. Chef Leslie Roark Scott working on her dessert that must include:fruit skewers, quick pan popcorn, amaretto and panettone, as seen on Food Network's Chopped, Grill Masters Special. For the dessert, you decided to make bread pudding on the grill. The judges commented that it looked a little burned. That seemed like a risky move to try baking on the grill. LRS: Yeah, it was probably a risk, but it was the only option. I knew that I didn’t want to go French toast. I didn’t want to do anything traditional, and bread pudding is a house specialty at my restaurant, and so that felt [like] a very natural thing to do. So it didn’t feel very risky to me. It did feel safe. You cut yourself. Do you think the only way to come back from that was by doing something safe? LRS: Yeah, I think so. I needed to sort of get back in my comfort zone, to settle myself down, because I was kind of getting jacked up. But after I cut myself ... I could hear [my daddy] fussing at me. ... That kind of brought me back to just: Do what you know, and stop trying to go past where you're comfortable. I spent a long time getting comfortable. I might as well trust it. What did it mean for you to compete today? LRS: Oh, gosh, just to be invited to be a part of this tournament was really the pinnacle of [my] career for me. This was a goal from the very first Chopped episode I watched, and so just being here was a huge deal, and to win it — I’m still trying to comprehend that. I can’t; I’m not sure that it’ll be very, very real until I can share it with the people that I love. 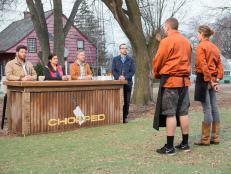 Chef Leslie Roark Scott stands before Chopped host Ted Allen and judges: Scott Conant, Alex Guarnaschelli and Tim Love moments after finding out she is a Chopped Champion and has secured a spot in the $50,000 Grill Masters Finale, as seen on Food Network's Chopped, Grill Masters Special. So going into the finale, do you have any strategy under your belt? LRS: You know, what worked was keeping it simple and that’s what I’m going to keep doing. Just keeping [it] simple and doing what I know. I’m not going to take any huge risks that don’t make sense to me in the next phase of the competition. I come in with it and keep my head down and just do what I do — do what I’m comfortable doing. If you do end up winning, do you have any plans for the prize money? LRS: My little girl and I have decided on a chunk of it. We want to go on a vacation and we want to take my restaurant staff with us. They work tirelessly, and I want to be able to share this with them because they’re my family. That’s who I spend every single day with. ... The rest will go to bills. I’ve got lots of bills to pay. I think most restaurants do, but the fun part is going to be pulling together my restaurant family. ... I think we’re even just going to shut the restaurant down. ... We’re going to take a well-needed rest for all of us. 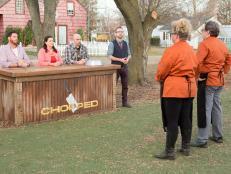 Tune in next week for Round 4 of Chopped Grill Masters, Tuesday at 10|9c. 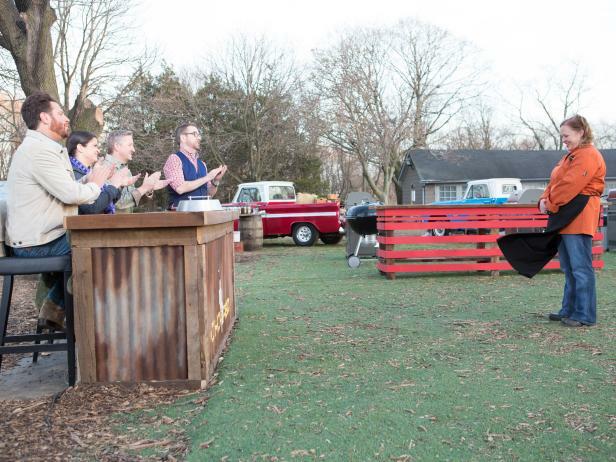 Get the exclusive interview with the winner of Round 1 of Chopped Grill Masters. Get the exclusive interview with the winner of Round 2 of Chopped Grill Masters. 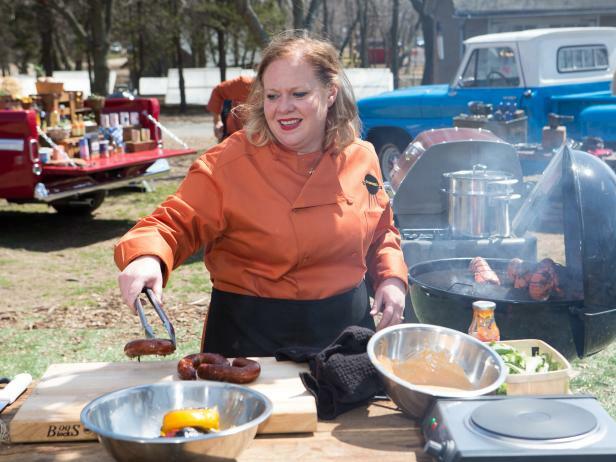 Get the exclusive interview with the winner of Round 4 of Chopped Grill Masters. 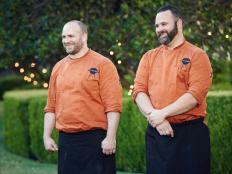 Hear from the winner of the third installment of the Chopped Grill Masters Napa tournament. Get the exclusive interview with the first chef to earn a spot in the Chopped Grill Masters finale. 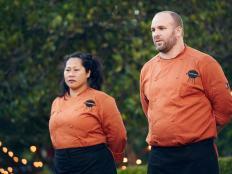 Get the exclusive interview with the winner from Part 2 of the Chopped Grill Masters tournament. 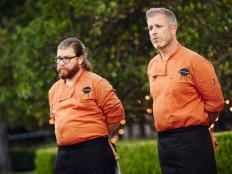 Hear from the Part 4 winner of the Chopped Grill Masters tournament. Get the exclusive interview with the winner of Chopped Grill Masters, and find out what it meant to win the title of champion and $50,000. Get the exclusive interview with the winner of Chopped Grill Masters.